In many parts of the world, the New Year comes with snow clad cities. 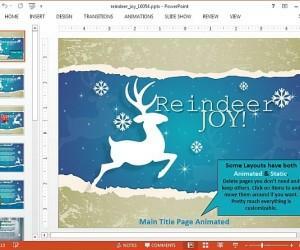 Over the years snow has become a major theme for New year cards, illustrations and PowerPoint Templates. Snow is symbolic for something wonderful and majestic, amidst hopes and great expectations for the coming year. Black Blur New Year PowerPoint Template provides a snow clad slide deck which you can use for making New Year related presentations. 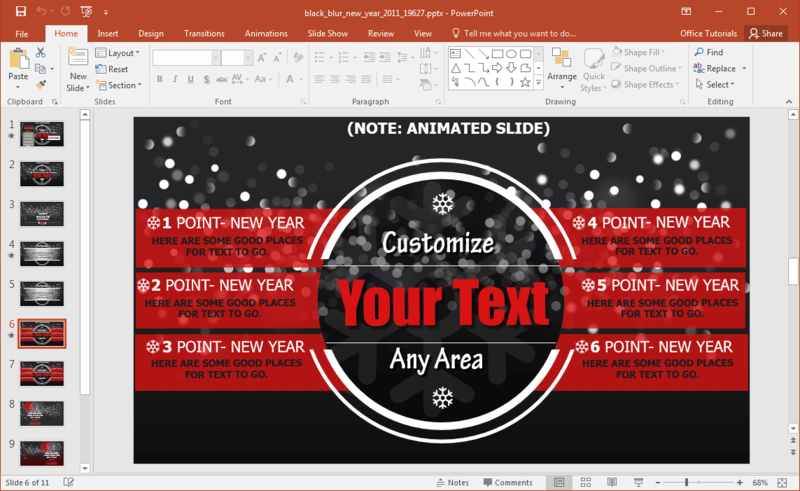 This animated new year snow PowerPoint template has all the makings of a deck that can help you add some holiday season cheer to your slides. 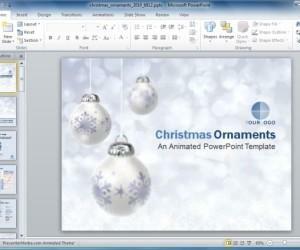 The basic theme of this template has a snowy night design, with images that are tied to New Year and the Holiday Season. 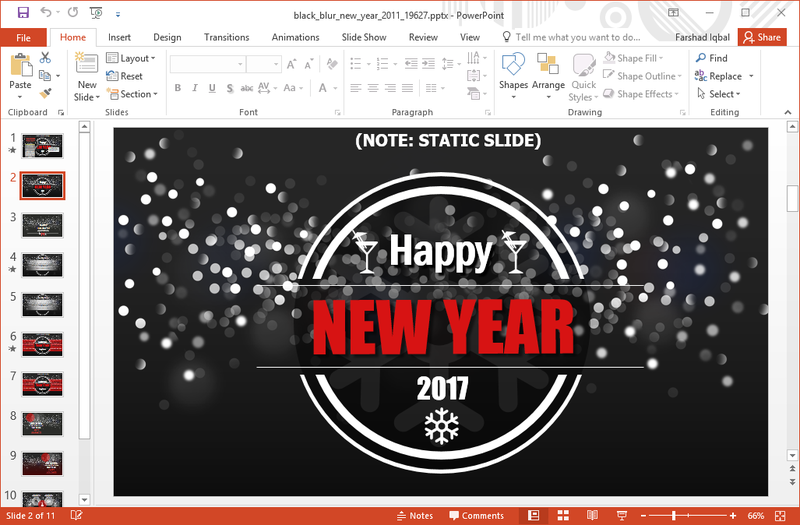 While this is a 2017 theme template, you can easily edit it to change the date, so you can use it for other events and for coming years. There are different layouts with grey, black and white slide colors, as well as some with a touch of red. 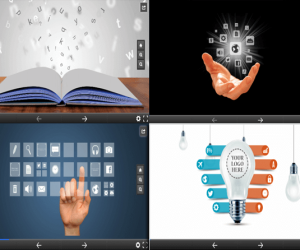 The slides have been professionally designed so that the presenters can easily incorporate their content without ending up with messed up slides due to layout rigidity. 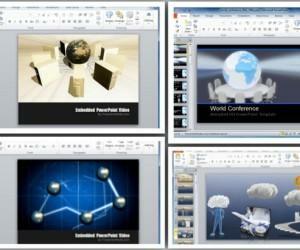 Furthermore, the slides can be heavily edited to suit specific needs. 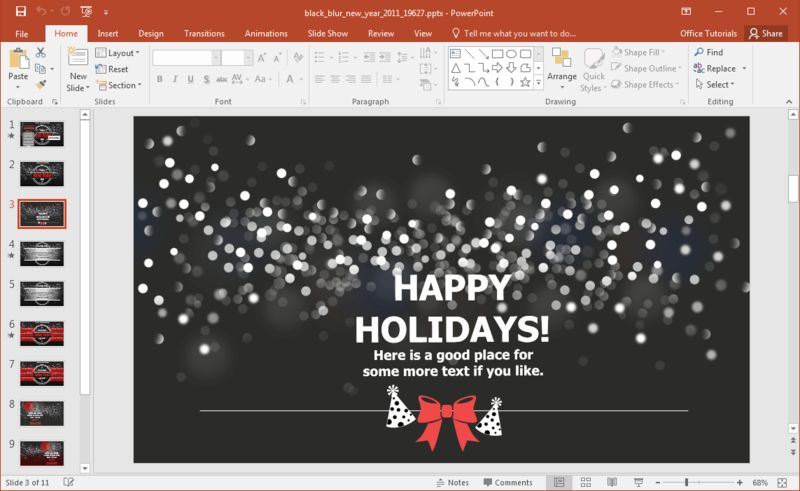 Some of the iconic images in this New Year snow PowerPoint template make it suitable for not just the New Year but for the entire Holiday Season, or for standalone occasions like Christmas. 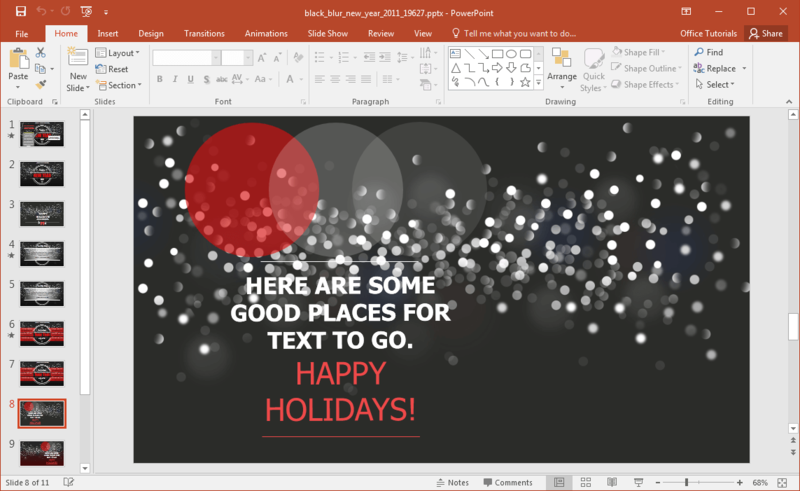 Even many of the slides come with placeholders with sample text like ‘Happy Holidays’. 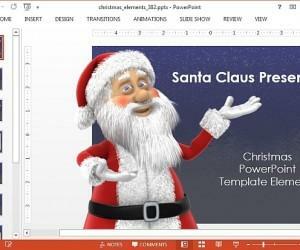 The New Year snow PowerPoint template also offers clipart of reindeers and Santa Clause, which makes it quite easily reusable for Christmas. 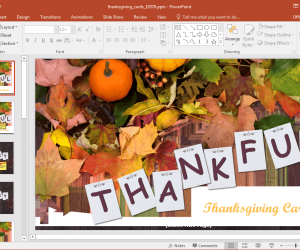 Furthermore, since this is a customizable template, you can edit the sample content to add or remove clipart and placeholders to redesign slides according to need.